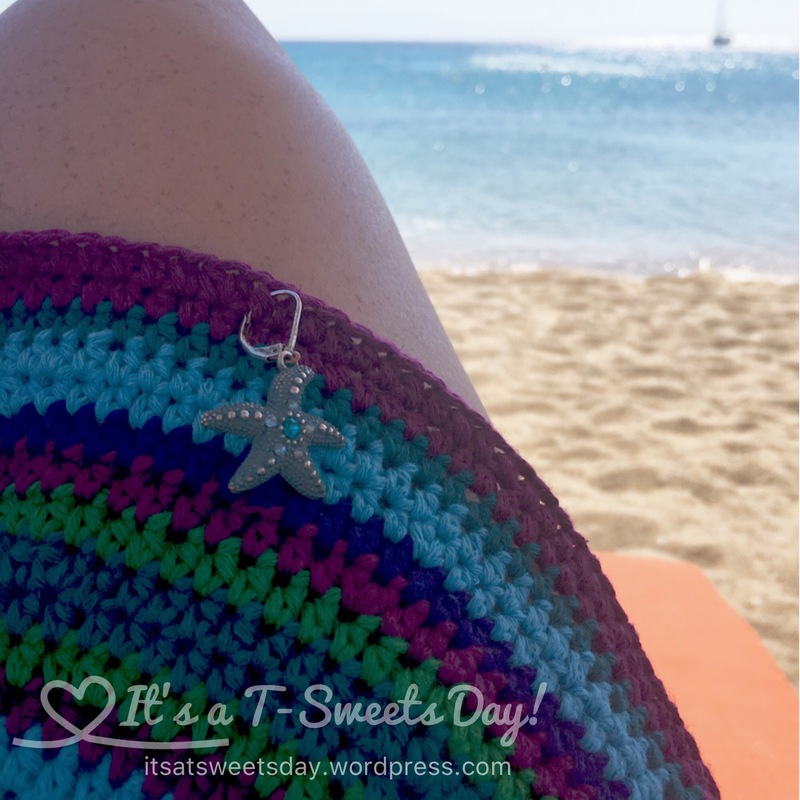 Crocheting My Way Around the World:) – It's a T-Sweets day! 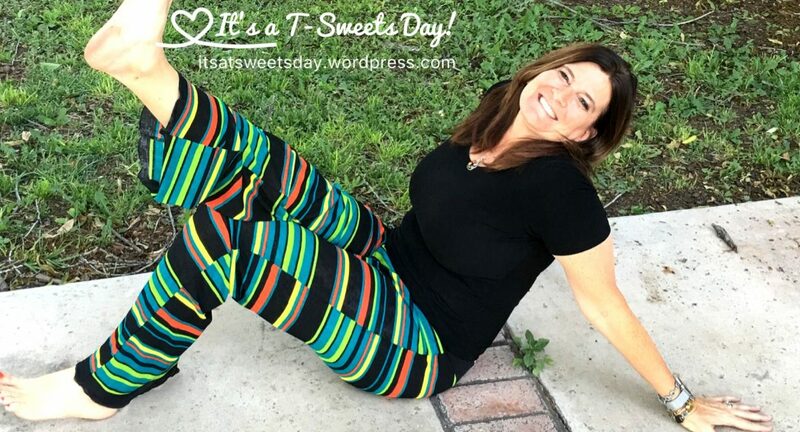 Published on October 12, 2016 October 12, 2016 by Tracy @ It's a T-Sweets Day! 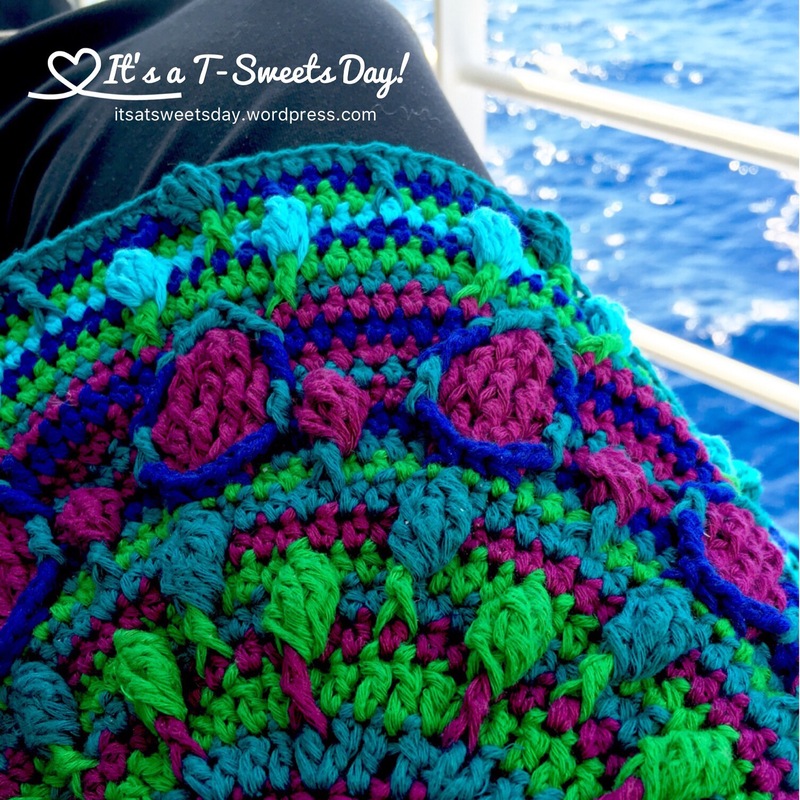 It was somewhat surreal to sit out on the balcony of the ship and stitch away with these beautifully matching, ocean toned threads. 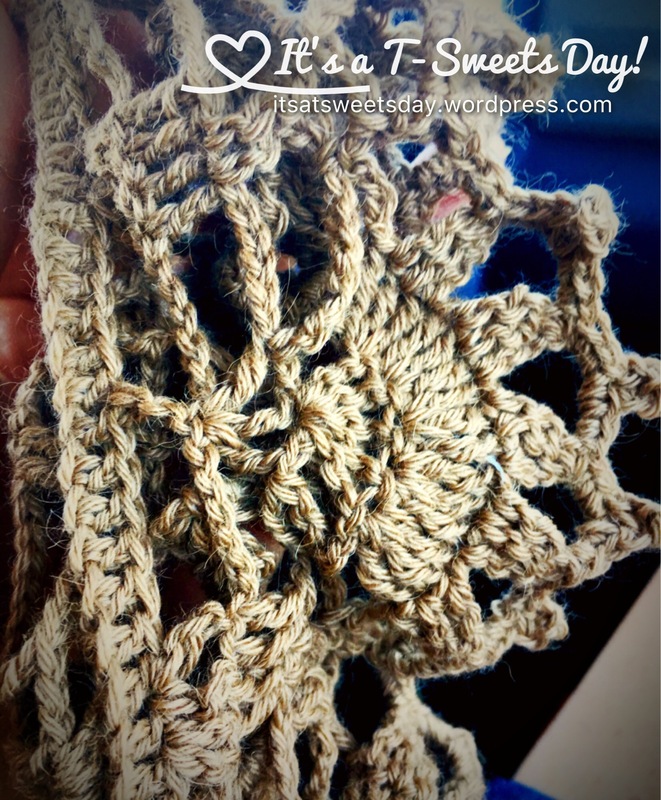 I was in crochet heaven to be sure. I even brought it along on our day of snorkeling and relaxing at the Beach in Mykonos. I was able to finish both the front and the back of my bag up to the joining section on my trip. I want to add a few beads to my bag, so I decided to stop and wait to complete this beauty at home. But of course, I had brought my camel hair yarn just in case this situation poked its head out. As you can see, I literally crocheted myself around the world and back. I had a wonderful trip filled with SWEET memories. Some of those memories are of my time with the needle and thread. 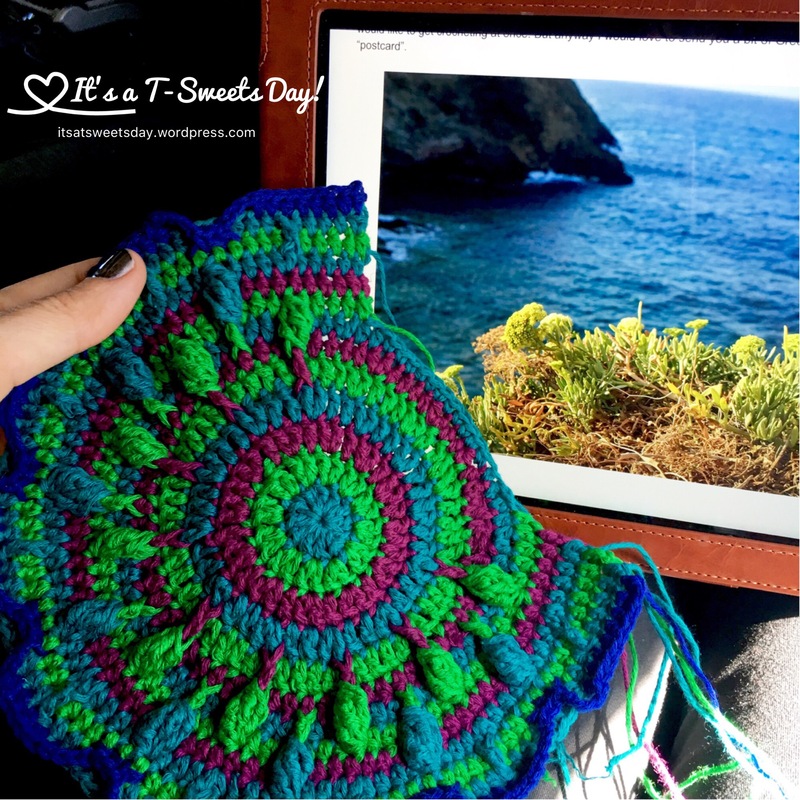 Next Half Square Triangles made Easy! That’s so great! Did you love the cruise? I love the colours for you peacock bag, so pretty! I need to get hold of one of those thread cutters, they sound fabulous! Thank you Emma!! Oh yes,! The cruise was AMAZING. I wrote a post about it two days ago, if you are interested in a freestyle travelogue about Israel:). And you certainly do need a thread cutter. It looks great and works quite well. Thank you for stopping by:)! It is beautiful. I enjoyed making mine as well. Hope you had a wonderful trip. Can’t wait to see more photos of your scarf as well. Oh thank you Margareta! I am really liking how it is turning out:). Did you finish yours? I havenot caught up on everything yet. Did you blog about it? Yes I finished mine and am using it. I did blog about it. I used the pastel colors. Oh good!! 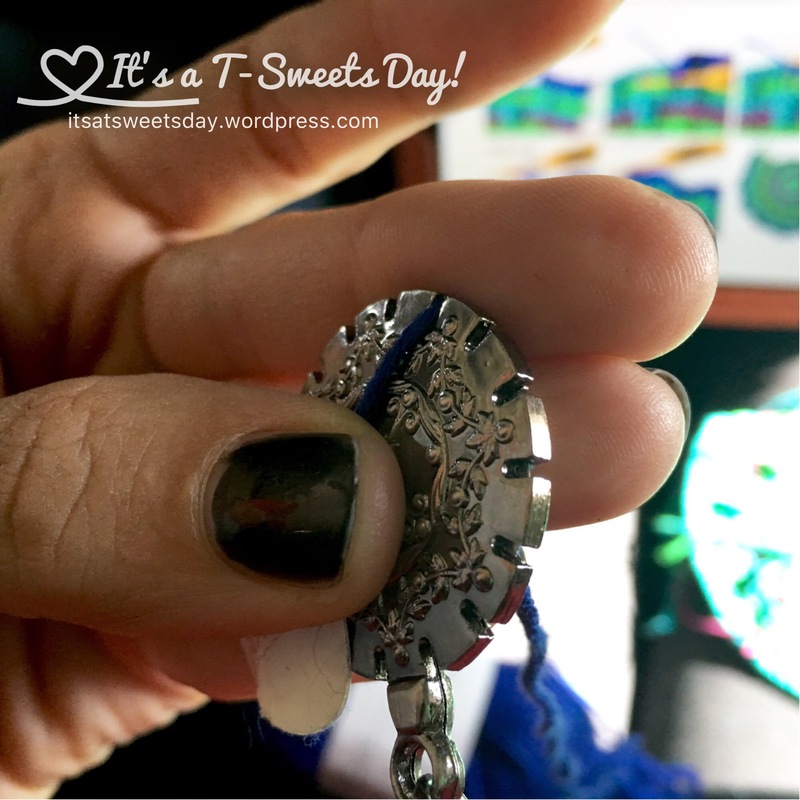 I am going to have to head over to your blog and check it out:).